Looking forward to the next week’s good news? It might as well bring some. Next week’s US economic calendar promises key data releases which will definitely have its effect on the gold’s price dynamics. In other words according to some market watchers the gold price is expected to recover from the recent lows and go up to the $1,600-an-ounce area. The upward movement has already started on Friday, when the price went up to $1,572.70 an ounce, but it was still 1.21% down on the week. 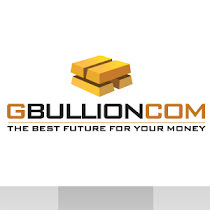 According to the Gold Survey held by Kitco news every week, the majority of respondents (15 out of 23) see prices up, the respondents are the market participants – bullion dealers, investment banks, futures traders, money managers and technical-chart analysts – experts that is. Which means, that good times are ahead! They always are.